This article compares the reasoning of Hugo Grotius and Mortimer J. Adler on the broad question of war and peace in the international system. The difference in the periods of their writings might have had significant sway on their individual perspectives on the international system and how to achieve world peace, but each of them provided significant predictions having fundamental influences on the current shape of the international system and the pursuit of peace. Primarily, most of Grotius’ writings on war and peace were focused on acts of sovereigns and counter-actions that created disharmony in a system that, in Grotius’ view, could be harmonious. Groitus began from the premise that sovereign states were properly governed by natural law, divine law, or civil law, had to transmit that civility to their affairs with other nations on the international stage. The law of nations is therefore dependent on the consent of all nations interacting with each other; but where such consent cannot be reached, the standard is customs or principles agreed by the most civilized nations or what is now known as peremptory norms. Since Grotius’ view of the international system was grounded in natural law, he naturally conceded that war is inevitable, but also preventable. The creation of social contracts and the establishment of various communities are outcomes of the human need for self-preservation. Grotius believed that individual right of self-preservation instigates the creation of communities in order to maximize self-interest and collective self-preservation. For Grotius, societies are either together in peace or divided by war, because all human relationships revolve around war and peace. The law of nations can therefore best be described as rules of self-interest acceptable to nations for their collective self-preservation, harmony, or peace. Therefore, the natural right of self-preservation inherent in sovereignty is an incentive for collective peace in the international system. Adler on the other hand believed that the lack of central government in the international system leaves room for anarchy and war. According to him, sovereignty is the attribute of one political community as a whole in relation to others. Consequently, sovereignty naturally divides one community from another. As a result, sovereignty is the cause of anarchy in the international system and anarchy is the cause of war. Thus, the international system’s adherence to sovereignty comes with a high price, which is a permanent state of war. Since only government can create order in an anarchic system, for Adler, that is the only way to world peace. Unlike Grotius, Adler believed that war like slavery, which once seemed like a natural state of things, could be eliminated. Grotius would agree that humanity is naturally prone to war, but war could be subdued for a greater self-interest in self-preservation. It is not like slavery, as Adler portrayed, that could be eliminated. In reality, one can even argue along the line of Grotius that slavery was abolished not by natural good will, but by civil laws and the law of nations, without which some nations would have continued to trade in human beings even when others deemed it immoral or illegal. From Grotius’ point of view, international law works better when the collective self-interests of sovereign states are at stake. A modern application of this idea is found in the UN Charter’s principle of collective self-defense as a method of preventing the unilateral attack of one nation by another. The idea of sovereign equality in the international system also ensures that all states, no matter how small, are equal in rights; albeit excepting the gerrymandering of the UN Security Council by a few superpowers. Adler believed that the only major obstacle to world peace is sovereignty and achieving it requires a complete transcendence of international law. This is so, because, according to Adler “international law is the law of a society of nations, not the law of a society of men, it can never be developed or improved to the point where it will function effectively to keep the peace.” Grotius would agree that international law is the law of a society of nations, but argue that the law of the society of men rests with sovereign states, whose actions in the international system represent the interests of the people who elect them. The systemic idea arising from Grotius’ view of the relations between sovereign states on the international stage is that individual states will transmit their local principles to the world stage, and that the most civilized nations would ultimately induce those who are not, to join or become a pariah. While Grotius deeply believed that international law could lead to world peace, Adler was of the conviction that international law merely allows nations to live together without relinquishing their sovereignty, which is an obstacle to world peace. According to Adler, the major problem with international law is that it is a façade, a law devoid of political institutions, and therefore a law of war not of peace. Most of international law is based on treaties that are only applicable to those who are party to said treaty, which is why Adler described it as nothing but a ‘contract between individuals.’ Recent blatant violations of international law by nations make Adler’s critiques relevant, but his proposal of a world government in place of treaty obligations is rather far-fetched. Ideally, it is conceivable that a world government that is a constitutional democracy would, in fact, lead to world peace. According to Adler, world peace requires world government in the same way as national peace requires national government and village peace, village government. Therefore, the lack of government with a power to enforce laws in the international systems is the cause of wars. What Adler requires for world peace is a kind of world government that operates on the same platforms upon which good national governments do. He advocates the absolute surrender of sovereignty and the amalgamation of the world into one federation under one central government based on constitutional democracy. Grotius on the other hand believed that the functioning of international law and the achievement of peace depend on the willingness of states to forego some of their individual self-interests in exchange for a larger collective self-preservation—a submission to external laws that protect all against all and prevent war. Adler argued that world peace like marriage is always possible for everyone, but the probability varies with age and time, inclinations and impediments. He predicted that the probability that world peace will be achieved within five hundred years is great. Grotius would argue that international law allows sovereign states to achieve world peace when and however they prefer, because the law of nations is the voluntary will of individual states acting with sovereign authority. Even though Adler envisioned a federation of states with a central government, it would still be impossible to maintain federal authority over the whole world. Where Adler and Hobbes might have agreed is on the need for government to maintain order and tame the natural state of man from war to peace. For Hobbes, this involves the construction of sovereign states through social contract, whereas Adler advocated the creation of a world government. While Grotius looked to international law for world peace as an extension of individuals coming together under national laws, Adler believed that nothing less than a world government devoid of sovereign states can reduce the anarchy that is an obstacle to world peace. Both Grotius and Adler drew their analogies from sovereign states. Grotius believed that international law could achieve for sovereign states what civil law achieves in nation states. However, Adler asserts that humans are prone to living in communities of peace because they have been willing to live in community from the very inception. But he believed that world government cannot co-exist with the sovereignty of independent nations. The major question is whose argument carries weight in terms of achieving world peace? Adler’s ideas are perfect, but their perfection would forever make them a probability. A perfect constitutional democracy world be a fantastic world government, but what Adler doesn’t account for accurately is resource distribution, a major source of conflict in human societies. Many modern states are plagued with civil wars and ethnic conflicts, but Adler offered very little detail on how the oil-rich Arabian states, for instance, would distribute their wealth with regions that lack resources. Though Adler would argue that men do not have to become saints to achieve a better world, a great deal of sacrifice is required for a world government. And current systems and community conflicts demonstrate that not very many communities are willing to make such a sacrifice. Grotius, on the other hand, offered practical and humanly possible means of avoiding war. His idea of international law allows sovereign states to avert war by submitting themselves to binding covenants for collective peace. This requires the parties to make agreements that are conclusive and may or may not be just for all parties involved, but the parties nonetheless comply in good faith. 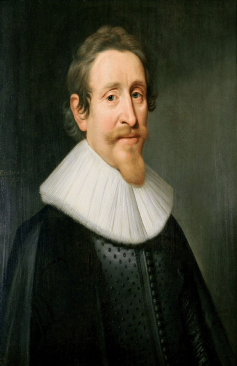 Grotius’ perspective was that since all are naturally endowed with reason, states are capable of coming to rational agreements on their common interests in order to maximize the prospect of self-preservation. Adler’s major frustration was the lack of enforcement power under international law, a reality that might have pushed him to advocate for a more robust form of international governance. However, modern international law is constantly advancing towards greater enforcement mechanisms. Adler could not have foreseen the willingness of states to subject themselves to international criminal jurisdiction. He viewed international law in the classical sense of “all the rights and obligations which have been defined by specific treaties between nations.” However, treaties such as the Rome Statute of the International Criminal Court (ICC) are applicable to individuals or states that are not parties. As flawed as the ICC is, it represents the will among states to end impunity for the most heinous violations in disregard of international criminal law. While International Organizations such as the UN, NATO, African Union, are not the sort of world governments that Adler anticipated—in fact they are part of the anarchy he condemned—these institutions have created standards and mechanism that may bring humanity closer to world peace. Another wrong prediction Adler posited is the idea that from now on “all wars will naturally tend to expand to the circumference of the earth.” Not all foreign wars have become world wars as he envisaged. There has not been another world war since the second world war, and the international system is now set up to avoid any wars that might consume an entire continent. No longer can one country become so powerful as to openly engage in what Grotius called unjust war. According to Grotius, war without justifying reason is like rubbery. Therefore, war is just when grounded in justifying reasons such as self-defense and sanctioned humanitarian interventions. On the other hand, Adler’s world government would provide for the just use of force as established by a system of perfect constitutional democracy with equality and justice for all. In this regard, world peace is not an impractical objective, but it will not be achieved through a world government that is different from the perfected version of the current international system of sovereign states. Even though Adler believed that there is “no intellectual impediment to peace which sound education, supported by experience, cannot cure,” no level of education can transcend the legitimate political, socio-cultural and geographic obstacles presented by the idea of a Republic of the World. Perhaps, if as President Kennedy put it, world peace does not require us to love our neighbors, but requires only that we live in peace with them, then what we need is not a world government but a perfected law of nations as Grotius posited. 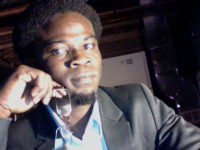 Joseph Kaifala is founder of the Jeneba Project Inc. and co-founder of the Sierra Leone Memory Project. He was born in Sierra Leone and spent his early childhood in Liberia and Guinea. He later moved to Norway where he studied for the International Baccalaureate (IB) at the Red Cross Nordic United World College before enrolling at Skidmore College in upstate New York. Joseph was an International Affairs & French Major, with a minor in Law & Society. He holds a Master’s degree in International Relations from the Maxwell School at Syracuse University, a Diploma in Intercultural Encounters from the Helsinki Summer School, and a Certificate in Professional French administered by the French Chamber of Commerce. Joseph was an Applied Human Rights Fellow at Vermont Law School, where he completed his JD and Certificate in International & Comparative Law. He is recipient of the Vermont Law School (SBA) Student Pro Bono Award, Skidmore College Palamountain Prose Award and Skidmore College Thoroughbred Award. Joseph was a 2013 American Society of International Law Helton fellow. He served as Justice of the Arthur Chapter (Vermont Law School) of Phi Alpha Delta Law Fraternity International. He is a member of the Washington DC Bar. Article picture: Hugo Grotius – Portrait by Michiel Jansz. van Mierevelt, 1631.